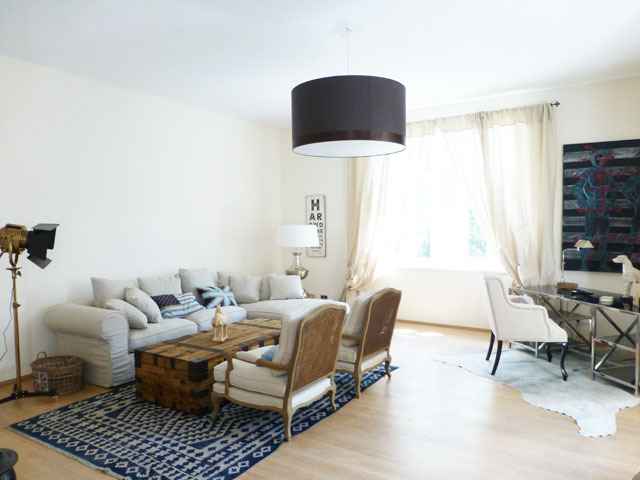 PRIVATE APARTMENTS IN VIENNA Office hours Mo.-Do. 8:30-12:00 & 13:00-17:00, Fr. 8:30-14:00: +43 1 402 57 01 You have an urgent inquiry during our out of office hours? 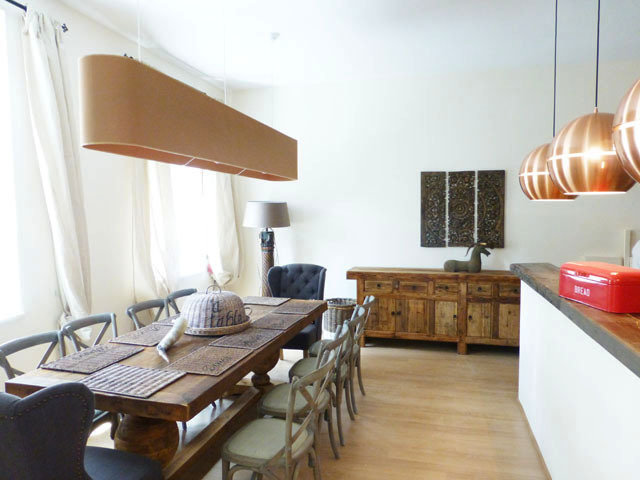 This luxury designer apartment boasts a modern and fully equipped interior. 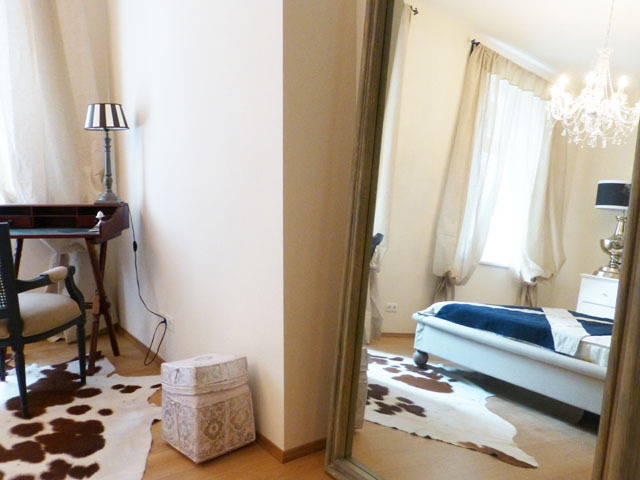 It is superbly located in the trendy Servitenviertel, within short walking distance of the city center. Restaurants, supermarkets & shops can be found nearby. The apartment has 3 bedrooms: The master bedroom has a king size bed and a walk-in closet; the second bedroom is furnished with 2 twin size beds and a convenient wall closet; and the third bedroom has a full size bed. The modern kitchen is equipped with high quality, brand name appliances and has an American-style double door fridge with an ice maker. 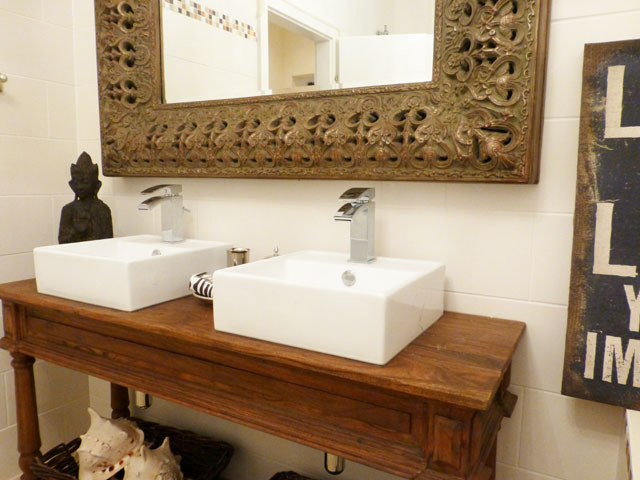 Lastely, the apartment offers a seperate utility room with washing machine and dryer. I have felt very comfortable in the apartment and would like to thank at this point once again for the good service. The interior is comfortable, cozy and many little things refelct the 'female influence'. If I have to go to Vienna in the future again, then I'll be happy to book again one of your apartments. Thanks for everything - the apartment has been a really good place to stay during the last months, I really felt well looked after. I would ike to thank the Team once more for all their efforts. We really enjoyed our stay. Rene S.